FAQ: We have heard many stories about Jazz for Peace Events with much higher ticket prices than the standard prices listed. Is that possible for us? 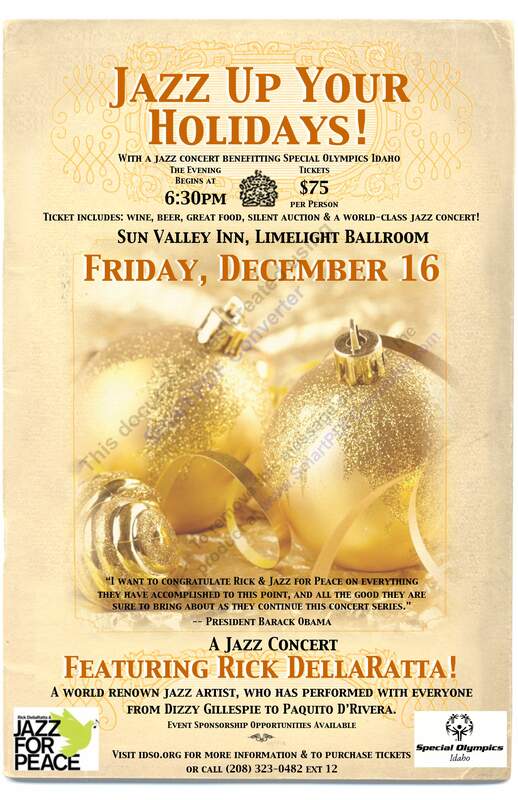 Answer: Yes – it is true that Jazz for Peace events have taken place for as high as $350 per ticket. When Unprecedented Achievements are celebrated in the right way there are plenty of people in any city or town who are both willing and able to pay a much higher ticket price for such value. Our patent-pending Empowerment Tree model sets the foundation in place for an event where higher than standard ticket prices are justified and once the building blocks are in place our Event Coordinators are happy to work with you to reach this elite group of ticket purchasers and donors who are not just willing but actually delighted to pay for such guaranteed value. Of all of these higher priced events, we have never once heard of an attendee complain that they did not receive their moneys worth. This is because this unique combination of outstanding cause and unprecedented achievements combined with a world class musical presentation, the proven and sustainable philanthropic model that this event was built upon, and most importantly the execution of that model have made this event stand out from the other high priced events that these same classy and cultural people had previously supported and attended. Our Event Coordinators are delighted to work closely with you at your request to firmly set the foundation in place to be able to guarantee this higher priced value and we hope you will also consider taking advantage of this opportunity.